Want to join the coolest team this side of the Mississippi? We're looking for more drivers! 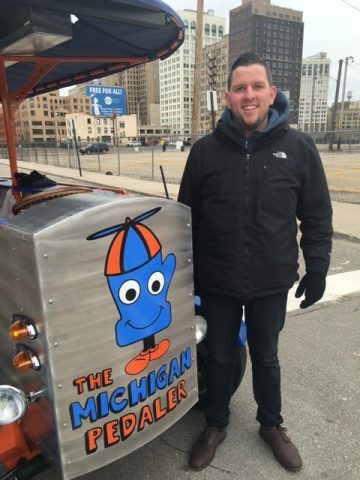 So, we’re looking for a few great people to join our team as drivers of The Michigan Pedaler. If you are responsible, dependable,and fun… we got a great job for you! 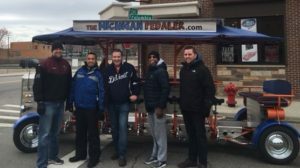 As the owner of The Michigan Pedaler, I can’t tell you how proud I am of the great group of employees that we have working for us. They are dedicated, kind, fun and go the extra mile to make sure we deliver on the expectations of our guests. If we could, we would clone the group we have. But we can’t. So we’re looking for more that have the same attributes as our current group. In the year since we started, I’ve seen our drivers go the extra mile. They also are always looking to do the small things for our guests and for each other to make sure things are done right. They are responsible and always coming back with ideas and suggestions — big and small. (One even suggested we do a calendar of our drivers. (That idea was quickly nixed)). But as much as they have done an incredible job working with all the people who ride with us, they are likable, good people that are just fun to be around. Our first group of drivers, April 2016. All of our drivers who started with us last April are back for another year! We’ve added to the group since we took this picture after our first training session. But we need more. 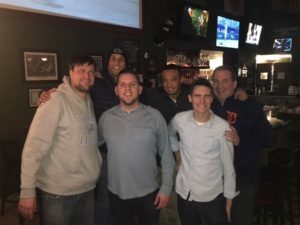 We need more people who are great dealing with people, know the city of Detroit, its hangouts and how to get around, as well as to know how to be in charge but have fun. The job is a ton of fun. The pay is decent. The tips can be great. The satisfaction of doing a good job is usually immense. Not every ride is perfect. Not every day is great. But overall, it is a great job and a great experience. We enjoy each other’s company. 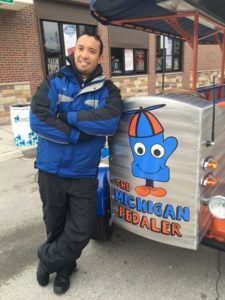 Our drivers not only drive our bike but are in charge of making sure their guests have a great time. If you are SUPER responsible, hard working, dedicated and fun, this might be a job for you. Take the time to complete our application. We are looking for some people to be readily available almost every day. But we also need people to cover shifts here and there. People who have the summers off (teachers) — this is a good opportunity. Firefighters who work long shifts but also have full days off at a time and want some extra cash — this is a good opportunity. Looking for a summer job — or a job for the next few months — think about how much fun it would be to work outdoors. Complete the online application posted here. Our drivers enjoy having a good time together too when we’re not supplying the fun. 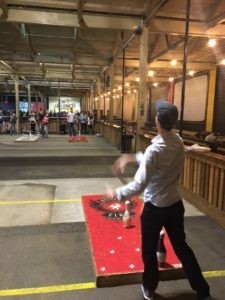 Our drivers got together and enjoyed a night out at the Fowling Warehouse recently.